Conferences, meetings, and more give us the oppotturnity to disseminate our experience and expertise, and to engage with organizations committed to transforming primary care. Advanced Practice provider Leadership Summit. Launching, Funding, Accrediting, and Maintaining a postgraduate APRN/PA Fellowship Program. Atlanta, GA. September 13, 2018. New Mexico Statewide Nursing Educators Conference. “The Emerging Role of RNs in Transforming Primary Care: Population Focused, Person Centered, Nurse-Led. Albuquerque, New Mexico. June 11, 2018. Northwest Regional Primary Care Association, Spring Primary Care Conference. “Team-based care in a population health management model.” May 21, 2018. Portland, Oregon. Healthcare Workforce Partnership of Western MA. Transforming Primary Care. February 28, 2018. National Academy of Medicine, Care Culture and Decision-Making Innovation Collaborative Meeting, Building clinician capacity for managing complexity, Washington, DC. May 5, 2017. Josiah Macy Jr. Foundation. Emerging Role of RNs in Primary Care. Atlanta, Georgia. June 5, 2016. Bill and Melinda Gates Foundation, Primary Care in the U.S.: Lessons Learned to Inform Global Primary Care Activities. “The Community Health Center, Inc. A Model for developing countries. Seattle, WA. November 8, 2016. American Academy of nursing, Keynote Address, Making the Business Case for Transforming Primary Care. Washington, DC. October 28, 2016. Maine Quality Counts. Inspiring Primary Care. Outcomes from the field. Bangor, ME. February 4, 2016. Stay tuned to see where our team is heading next! American Dental Education Association (ADEA). Collaboration in practice. Model of integration of oral health and primary care. Washington, DC. October 19, 2015. University of San Francisco School of Nursing. Training for the future; Training to a high-performance model of care. San Francisco, CA. September 25, 2015. University of California at San Francisco. The Bodenheimer Symposium. “Expanding the Capacity of the Primary Care Team.” Panelist. San Francisco, CA. September 26, 2015. American Academy of Nursing Policy Conference. “Optimizing RN and APRN Practice to integrate mental health and primary care.” Panelist. Washington, DC. October 16, 2015. American Dental Educators Association (ADEA). “Improving outcomes through oral health and primary are collaborative practice.” Washington, DC. October 19, 2015. (Webinar) Primary Care Progress. “Expanding the capacity of the primary care team.” October 26, 2015. National Academies of Sciences-Engineering-Medicine. Committee for the evaluation of the impact of the Institute of Medicine Report: The future of nursing: leading change, advancing health. Toward establishing nurse residency programs. Washington, DC. July 27, 2015. American Academy of Nurse Practitioners. Panel presentation. Nurse Practitioner Residency Training for new NPs. New Orleans, LA. June 16, 2015. Pre-Conference and Plenary. VT Nurse Practitioners Association. Building a world class primary care system: Innovations in primary care delivery that are improving patient outcomes, revitalizing providers, and building healthier communities. Stowe, VT. March 26-March 27, 2015. Presenter, CHAMPS/Northwest Primary Care Association. Achieving Clinical Workforce Partnerships—Leadership, Business, and Strategy. Denver, CO. October 21, 2014. Presenter, International Conference. Learning from promising primary care practices. Models for the USA. Oxford, England. September 9, 2014. Keynote Speaker, University of Connecticut School of Nursing annual Athena Conference. “From Brilliant Idea to Sustained Change: The Research, Quality Improvement, and Innovation Continuum. Storrs, CT. April 25, 2014. Testimony before the Committee on Health, Education, Labor and Pensions Subcommittee on Primary Health and Aging. United States Senate. Washington, DC. April 9, 2014. Keynote Speaker. University of Colorado. Denver, CO. “Developing a statewide model for NP Residency Training in FQHCs.” December 18, 2013. Presentation, American Board of Internal Medicine Foundation Joint Meeting with the American Academy of Nursing. “A Model of Team-Based Primary Care.” December 13, 2013. Keynote Speaker, VA Puget Sound HealthCare System, Regional NP Residency Forum. “CHCI Nurse Practitioner Residency Training Program: Training to Complexity, Training to a Model, and Training for the Future.” September 17, 2013. Invited Speaker and Panelist, White House. “Improving Care and Patient Health.” Washington, DC. June 13, 2012. Commencement speaker. Yale University School of Nursing. “Creating a Platform for Change.” New Haven, CT. May 12, 2012. Annual QSEN (Quality, Safety and Education in Nursing). “Innovation in Quality Improvement in Primary Care. Phoenix, AZ. May 30, 2012. Bar Harbor, Main. 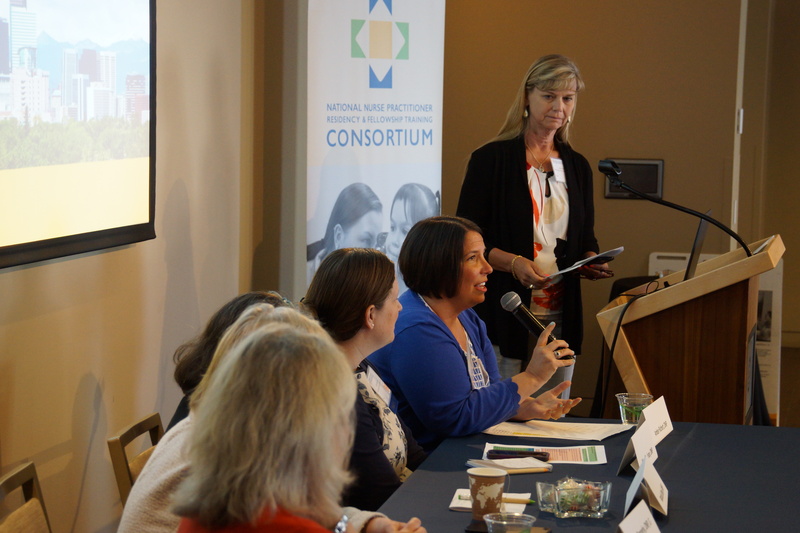 “Growing Our Own: Transforming Health Care Education for Future Providers and Systems of Care.” Sponsored by Maine Office of Rural Health and Primary Care. September 30, 2011. Address to graduating seniors: Southern Connecticut State University School of Nursing. New Haven, CT. “The Transformation of Primary Care.” May 19, 2011. Quinnipiac University. Hamden, CT. “Transforming Primary Care.” Keynote address of the 19th annual Connecticut Collaborative Research Day. March 5, 2011. Community Health Institute. Dallas, TX. “Recruiting, Retaining, and Training NPs to Thrive in Federally Qualified Health Centers.” September 13, 2010. AANP National Conference. “CHC’s Nurse Practitioner Residency Training Program: Providing the Training Bridge Between Education and Practice.” June 26, 2010. National Heath Policy Conference, sponsored by Academy Health and Health Affairs. “Reform and Transform: Ensuring the Right skills for Primary Care.” February 8, 2010. Weitzman Symposium. Chair and Convener. 2006 – Present. National Advisory Council on Nurse Education and Practice (NACNEP) Meeting. “At the Heart of the Patient-Centered Healthcare Home: Primary Care Providers and Primary Care Nurses.” November 20, 2009. Community Health Institute. Chicago, IL. Sponsored by National Association of Community Health Centers. “Health Center inclusion in state health reform efforts: the Connecticut experience.” August 25, 2009. National Primary Care Workforce Summit sponsored by HRSA. Washington, DC. “innovations in primary care workforce training.” August 11, 2009. Briefing, Capitol Hill. Washington, DC. “Addressing national primary care provider shortage” sponsored by Congressman DeLauro, D-Ct. Lead speaker for full briefing designed and presented by Community Health Center Inc. for an audience of political, health care, and association leaders. May 28, 2009. Briefing, Capitol Hill. “Primary Care Innovation.” Presented as part of briefing sponsored by AARP. April 27, 2009. “Health Reform: Where are we going?” Association of Nurse-Attorneys in CT. New Haven, CT. April 24, 2009. Citizens for Quality Sickle Cell Care Annual Meeting. New Britain, CT. “Improving access and care for adult patients with sickle cell disease: Applying the chronic care model.” May 3, 2008. National Association of Community Health Centers Policy and Issues Forum. Washington, DC. “Residency training programs for nurse practitioners in federally qualified health centers: An innovation whose time is now.” March 12, 2008. National Association of Community Health Centers Community Health Institute. Chicago, IL. “Access through innovation.” Developing a contractual 340b Pharmacy model within a community health center. August 24, 2007. Middlesex Health Systems. Middletown, CT. Boden Symposium. “A strategic approach to eliminating waits, waste, and delays in primary care.” April 11, 2007. Yale School of Management Spring Conference. New Haven, CT. “Electronic Health Records—a transformational tool for patient care.” April 3, 2007. National Association of Community Health Centers Policy and Issues Forum. Washington, DC. “The country’s first FQHC based residency training program for new nurse practitioners: results from the first year’s experience.” March 4, 2007. University of Connecticut. Storrs, CT. Sigma Theta Tau Induction Ceremonies, Keynote. “Community in Practice and Profession.” November 3, 2006. New York State Primary Care Association Annual Meeting. Saratoga, NY. “Applying innovation to primary care practice: advanced access scheduling, panel management, outcome measurement.” October 13, 2006. Connecticut Student Nurses Association annual meeting, Keynote. Windsor, CT. “Come on in—we’re waiting for you.” March 2, 2006.